Adam & Eve Spa donated $1,500 to Teal it Up Ovarian Cancer Foundation on Giving Tuesday. 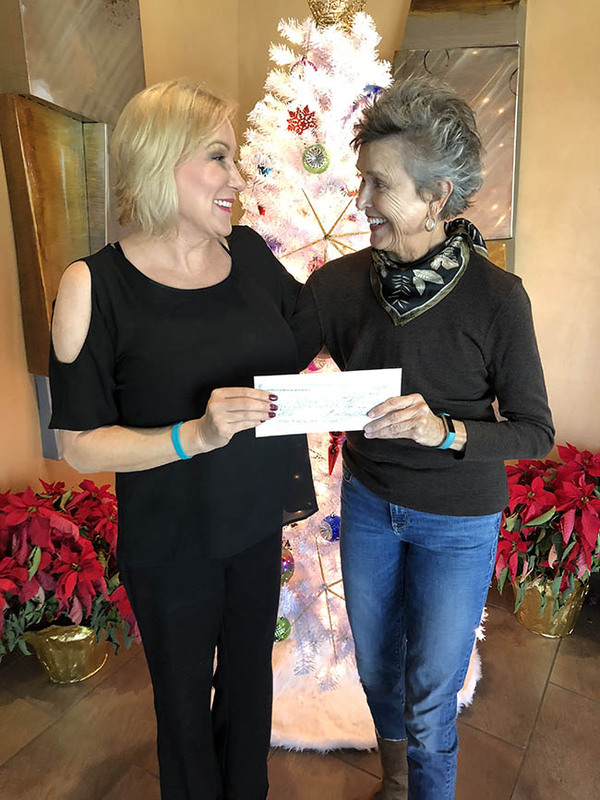 Seen here is Jan Coggins receiving the check from Barbara Slushing, the spa’s director. The spa’s holiday party donated a portion of their proceeds from the sales at the party to the foundation. A big Thank You to the Spa and all of it’s generous donors. WHEN: Thursday, November 15 from 4 – 8 pm. WHAT: Adam & Eve Medical Aesthetics are having a perfectly fab evening of Holiday Festivities. Eat, Drink & Be Merry! A portion of the proceeds will be donated to the Teal It Up Foundation. RSVP: Please call 480-575-6584 before Nov. 8th to reserve your space.